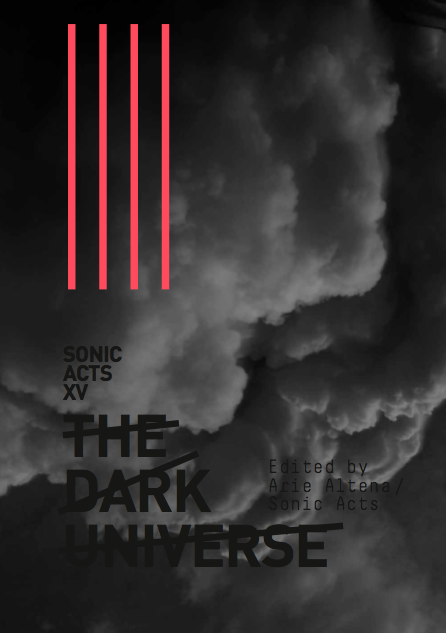 The lavishly illustrated publication The Dark Universe is an accompaniment to and an extension of the fifteenth edition of Sonic Acts. The book includes essays by Andrew Pickering, Michael Doser, Roger Malina, Keller Easterling and Simon Ings, and extensive interviews with Saskia Sassen, Lebbeus Woods and artists such as CM von Hausswolff, HC Gilje, Matthijs Munnik and Gert-Jan Prins. 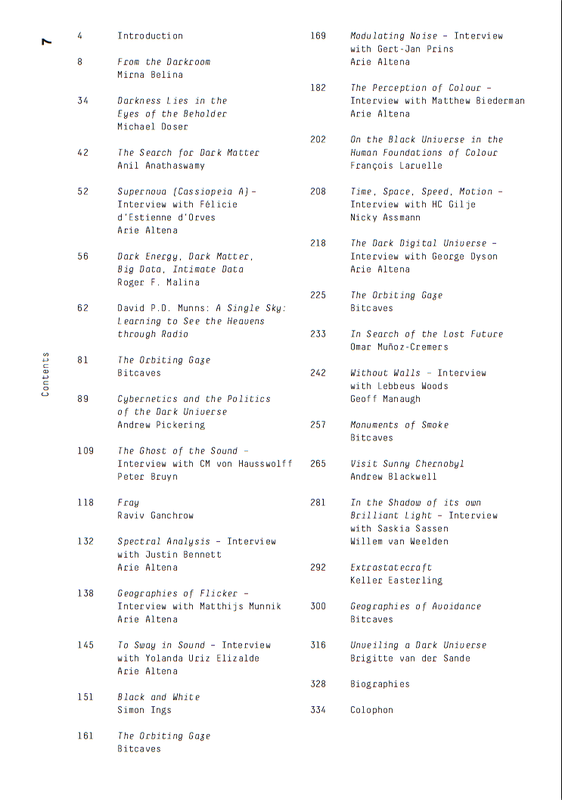 The contributions discuss The Dark Universe theme from various perspectives -- from physics and astronomy via the arts and literature to the current state of our planet. Interspersed through the book are not only many illustrations, but also several visual essays by Mirna Belina, and Bitcaves.